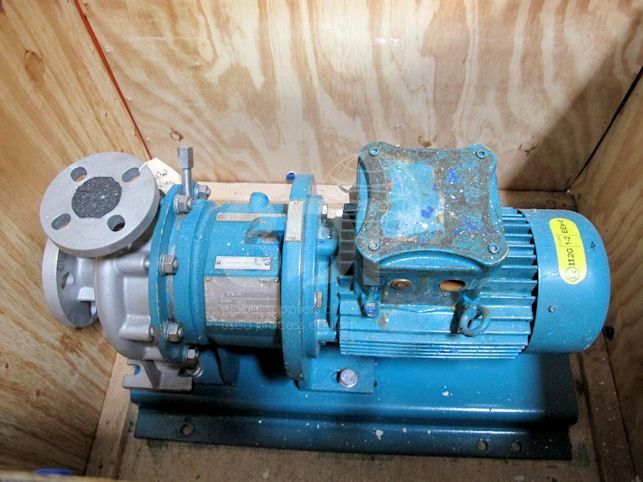 Used 2.5m3/hr Centrifugal Magnetic Drive Pump, manufactured by CDR Pumps Ltd. Model ETS50. Material of construction: 316 Stainless Steel, 30.5m head, complete with a 2.2kw CEMP Electric Motor. Ex Chemicals.